The reason that this is so annoying is because it assumes that meat is the only source of protein. All plant-based foods contain some protein. Heck, even corn has lots of protein in it (1 cup = 16 grams), not to mention the vegetarian foods which are more obviously packed with protein, like beans, nuts, seitan, and tempeh. But the question of vegetarian and vegan protein is viable in one aspect: Few plant-based foods are complete proteins. Complete proteins are those which contain all 9 essential amino acids our bodies need (refresher: amino acids are the building blocks of protein). In order to stay healthy, we need to consume ALL of the essential amino acids. This has led some to freak out and think they need to focus on eating vegetarian foods which are complete proteins. Really, it is pretty easy to get all of your amino acids so long as you eat a variety of foods: the amino acid lacking in one protein source will likely be present in another protein, so you end up getting all those essential aminos. No, you probably don’t need to follow any complicated system of combining proteins! Just make sure to eat a different type of protein at every meal (like some nuts in your morning cereal, some seeds on your lunch salad, and a heaping portion of plant protein for dinner). Just in case you are still worried about getting all your amino acids, here are 9 vegetarian complete protein sources (7 of which are vegan complete protein sources!). Hemp seeds are one of the most nutritionally compete foods in the world. If you are worried about getting all your essential amino acids, then buy some hemp protein powder and eat it in your cereal or smoothies every day. 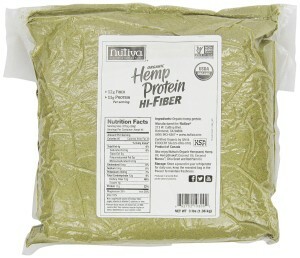 Hemp is fairly expensive if you buy it in a health food store. I found bulk Organic Hemp Powder on Amazon which is $25.59 for 3 pounds. 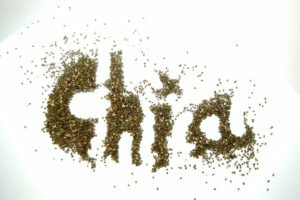 Chia seeds finally are getting the attention they deserve (at least for something other than use on “pets”). Aside from being a complete protein, chia seeds are great vegan sources of essential fatty acids, antioxidants, fiber and potassium. 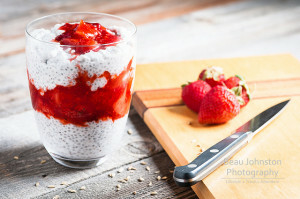 Compared to hemp, chia is pricier as a source of vegan protein — but it tastes better and works really great in recipes like chia pudding. 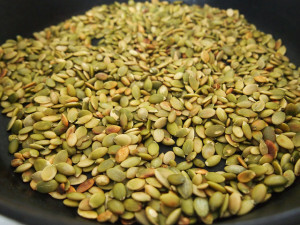 Throw these tasty seeds onto a salad, into mashed potatoes, or just eat them raw. They will give you all 9 amino acids plus TONS of iron (1 ounce = 23% of iron RDA), zinc (14% RDA) and lots of other minerals. Soy really is a miracle food. It can be turned into just about anything from milk to fake veggie burgers and is loaded with lots of nutrients – including all your amino acids. 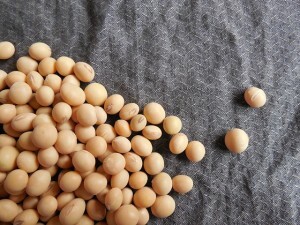 Just be wary of processed soy products because they often contain soy isolate. Soy isolate is made with a process that involves boiling soy in hydrochloric acid for days until it turns into a cousin of MSG. By the time you enjoy it as a soy dog or fakin’ bacon, it has little nutritional value left. 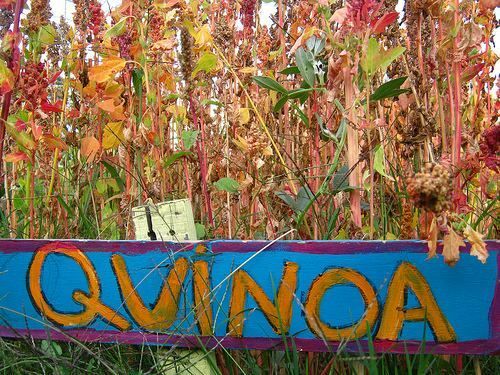 There is good reason that quinoa has been hyped up as a superfood in the past few years. It is one of the only grains in the world which is a complete protein — and it is LOADED with protein. 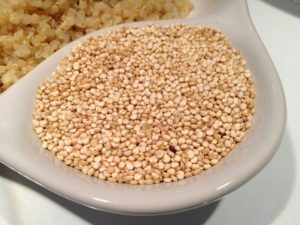 One cup of cooked quinoa has 8 grams of protein. 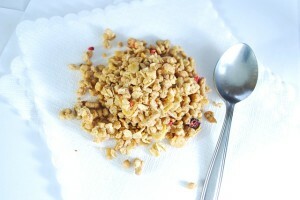 It also has loads of iron (1 cup = 15% RDA), zinc, calcium, and numerous other minerals. Buckwheat, also called kasha, often gets overlooked in light of quinoa as a source of protein. But this tasty (and cheap) grain is loaded with all 9 essential amino acids! You’ll also get tons of fiber, iron, and a good amount of zinc too. While you probably aren’t going to eat enough of it daily to meet your protein RDAs, spirulina is a vegan complete protein. One ounce of raw spirulina delivers 2 grams of complete protein – not to mention 44% of your iron for the day! I like to add spirulina powder to smoothies. If you really hate the taste of spirulina, you can take it in supplement form. I like the spirulina powder from NOW because it is non-GMO, organic, and 100% vegan ($20.76 for 1lb at Amazon). The one from Nutrex Hawaii is also good, especially because it is one of the few spirulina powders which is sourced and produced in the US and not China ($58.99 for 1lb, pack of 2, at Amazon). 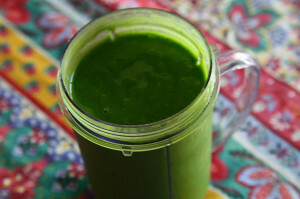 Spirulina will turn your smoothies bright green! There is a lot of controversy about whether eggs are healthy or not. When it comes to protein though, eggs do deliver. They’ve got all your essential amino acids. Note that both the white and the yolk are complete proteins. The European version of yogurt (which includes lots of fat and is traditionally eaten sour instead of sweet) is full of protein. 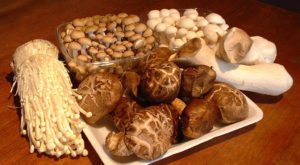 It also has lots of healthy bacteria for your gut and is a great source of calcium. If you are vegan, check out these vegan sources of calcium instead. Leading a healthy lifestyle, be it vegetarian or vegan, comes with ovation and criticism. We’ve all experienced those pesky meat-eater questions, especially the ones pertaining to protein intake. Out of nowhere people become nutritionists and are concerned for your protein intake safety. Well, I am here to debunk the false-hearted, who may need to hear that “I told you so” when it comes to plant-based proteins and nutrients. Proteins and amino acids are essential in aiding in the growth and strength of the body from the inside out, including muscle and bone strength, along with boosting the immune and nervous systems. Amino acids come in a variety of 22 different types with only 9 being essential; leucine, isoleucine, lysine, methionine, phenylalanine, threonine, tryptophan, valine and histidine. Of the many food options high in protein and aminos, the top choice plant sources are hemp, chia and sesame seeds. All protein and aminos aside, there are other vital sources of nutrients that are essential like healthy sources of fat, which come to us by way of Omega-3’s. There are 3 categories of Omegas; EPA, ALA, DHA. The least crucial of the 3 is ALA—our bodies don’t naturally produce them, but we can find them in many foods like hemp, chia and flax seeds, and oils. The 2 crucial Omegas are EPA and DHA, which are both found in fish and seaweed. EPA is used to reduce inflammation, blood pressure and cholesterol, while DHA is categorized as a component of gray matter found in the brain, retina, cell membrane and the testis and sperm; which makes it also useful in preventing and treating prostate cancer. After protein intake, B-12 is another heightened topic of discussion. It is a vital nutrient that comes from micro-organisms and synthesizes and regulates the brain, nervous system, and metabolizes cellular function by converting carbohydrates into glucose that naturally energizes the body. You will hear people mention manmade supplements as an option, however natural sources come from spirulina, non-dairy milk, and fortified grains like hemp, quinoa, and amaranth. When it comes to the discussion about Vitamin D intake, there is a debate between D3 and D2. Neither D3 nor D2 are biologically active within us and only become active through ingestion or absorbed through the skin. Of the two D2 is the healthiest option, unlike D3, which is derived from animals and manmade supplements; D2 can easily be obtained through foods like mushrooms, non-dairy milks, fortified grains, and UV rays of the sun. The most important thing to consider when choosing any nutrients, whether they’re proteins, aminos, omegas or vitamins, is to use natural food-based options before resulting to manmade supplements. Perineal plant-based sources like hemp and chia are considered two of the greatest sources of proteins because they contain nutrients similar to those found in the body. 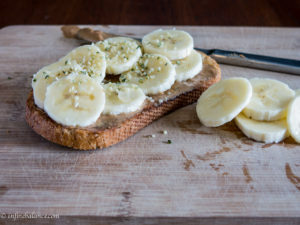 Both hemp and chia contain the protein, amino acids, omega-3’s, B12, Vitamin D & K, along with calcium, iron and zinc, making them the greatest sources to implement in a vegan, vegetarian lifestyle.